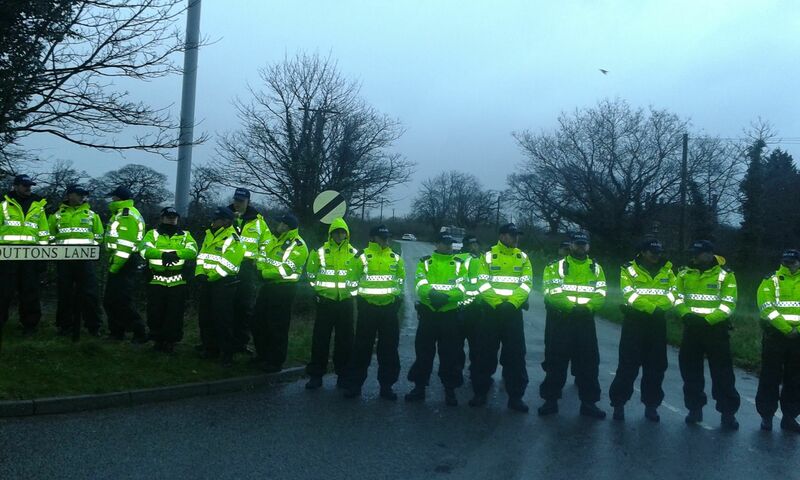 Cheshire Police have used controversial antisocial behaviour dispersal powers to exclude protesters from a large area around the recently evicted Upton anti-fracking camp near Chester. At least ten anti-fracking campaigners who supported the Upton Community Protectors Camp, which was was evicted in a massive operation by police and bailiffs on Tuesday, have been excluded from a large area stretching for three miles on the outskirts of Chester. 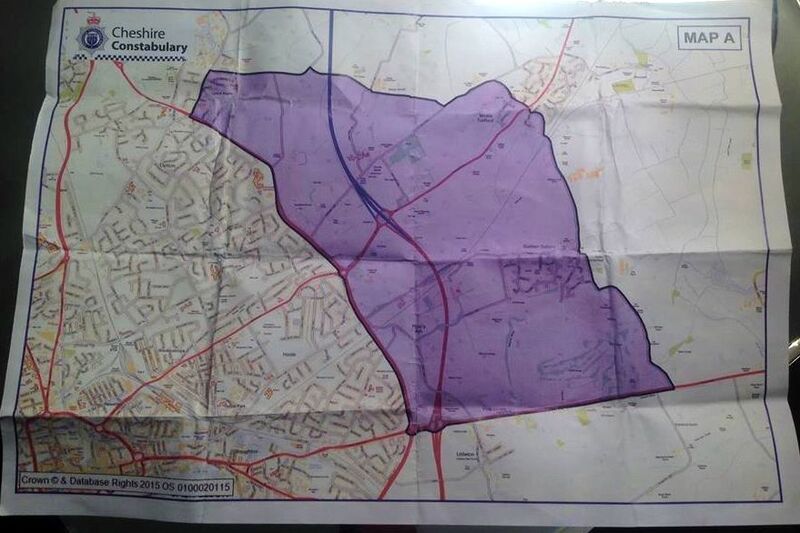 Police have used powers under section 35 of the Anti-social Behaviour, Crime and Policing Act 2014, which allows officers to force individuals to leave an area for up to 48 hours if “members of the public in the locality [are] being harassed, alarmed or distressed”, or if there is an “occurrence in the locality of crime or disorder”. These powers are very wide but the Act does say that police “must have particular regard to the rights of freedom of expression and freedom of assembly set out in articles 10 and 11“. However, there is little evidence that this ever occurred: as the photograph below indicates, no reasons were given for issuing one section 35 notice at Upton other than the existence of a “protest site”. 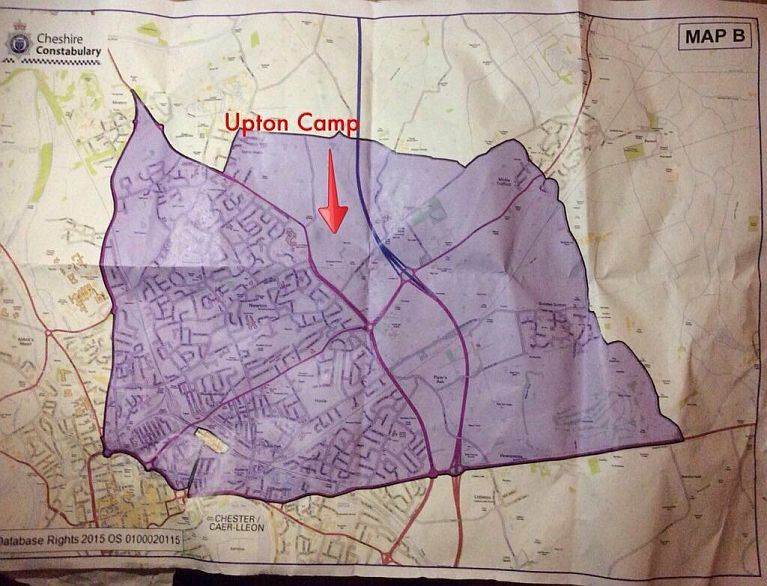 The area covered by the orders also appears wholly disproportionate and potentially unlawful: not simply Duttons Lane in Upton, where the evicted Protectors Camp had been situated, but an area covering around five square miles of the Cheshire countryside (in the case of the notice above, covered by Map B, below right). 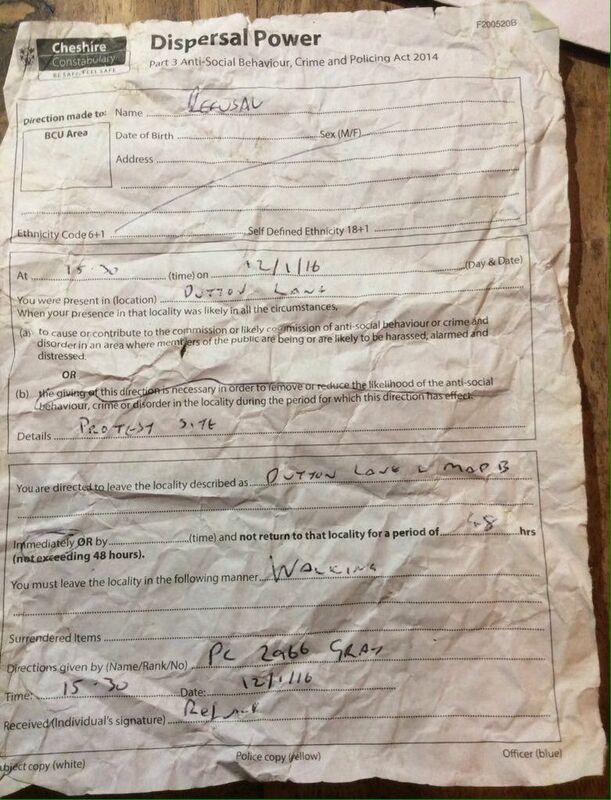 Last September, two Montgomeryshire hunt protesters were acquitted of failing to comply with a section 35 dispersal order because it not only failed to specify clearly the area it covered but also, as appears may have happened in Upton, it did not include details of the rationale for making the order. 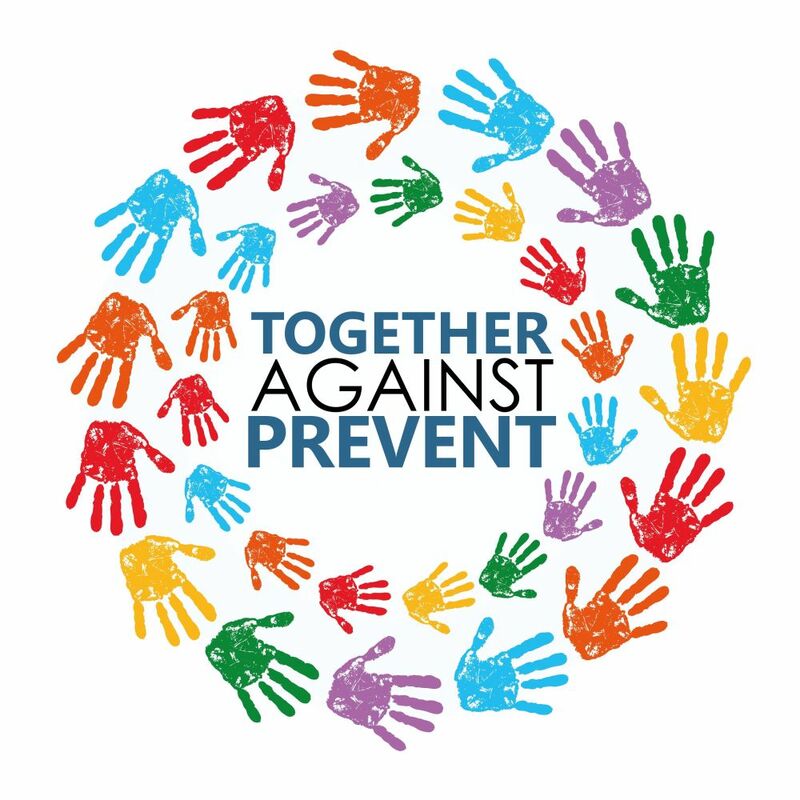 When the legislation was initially introduced in 2013, Netpol argued it was inevitable that “any new powers to disperse on the basis of a likelihood of anti-social behaviour will also be used against people taking part in political assemblies and demonstrations”. The issuing of section 35 dispersal orders at an entirely peaceful protest in Upton is another example of just how quickly the introduction of new police powers can severely restrict these fundamental rights.